You drive the ultimate pleasure out of the food you eat and if it is made with love, you just can’t stop appreciating it. At the Roast, the chefs love to make and serve. The menu is excellent, and the vibes are lively as the restaurant welcomes each guest with a smile. The restaurant itself is cozy and the décor is decent. Rancherros eggs, French toast, and fried chicken are some of the yummy dishes. You got to top it up with the well-decorated desserts. So, come early for the breakfast or lunch, spend a good amount of time here enjoying your food and go back super satisfied! Create a flawless plan, make use of Bangkok trip planner. Curated Bangkok vacation packages await! Book the best ones and start turning your dream into reality.Discover various ways for how to reach Bangkok and complete the booking by choosing your mode of transport. 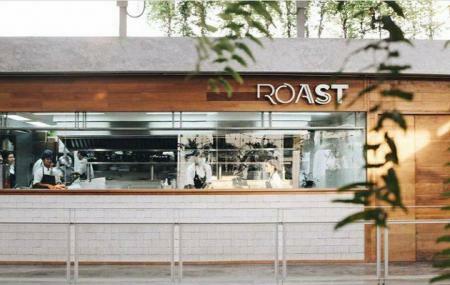 How popular is Roast Coffee? People normally club together Change Foot Massage and Mo And Moshi while planning their visit to Roast Coffee. Absolutely wonderful experience. Top floor and stunning views of the city. Fast and friendly service. And last but not least, EXCEPTIONAL menu! You can’t go wrong with any choice. We found heaven on the top floor of The Commons. It's ROAST. Heaven is surely made of their freshly baked bread, fresh butter and deep fried calamari. The deep fried calamari has such a special batter, it tastes so light yet so tasty. Even the battered leaves and zucchini tastes superb. The hangar steak and fries was our main dish. The steak is lean and tasty with a nice char. The star however was the fries; they were so good, I bet they were home made. I wish I had a second stomach to try more of their food. 1 to 3 stars? Must be the kind that flips the table over one bad salt shaker, runs off and stays home. This place is perfect in most ways with a few very minor inpefections that are perfectly forgivable without anyone having to clutch their scapular in recitation. The views, the look, the exceptional yet no frills service that works like clockwork with the kitchen team to deliver. Shameful not everyone appreciates a good place! A very nice chill out place at the rooftop of The Commons. Great ambiance with good music. Food was surprisingly tasty. Mostly Western selections with plenty of desserts for final course. Coffee is good. Smooth and strong. Overall, a good place to spend the afternoon. Will definitely be back again anytime.